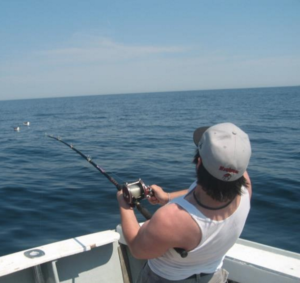 Deep sea fishing charters are a common attraction in Gloucester. Many people find this type of bottom-fishing rewarding as you catch and can keep some of the best tasting fish the ocean has to offer. 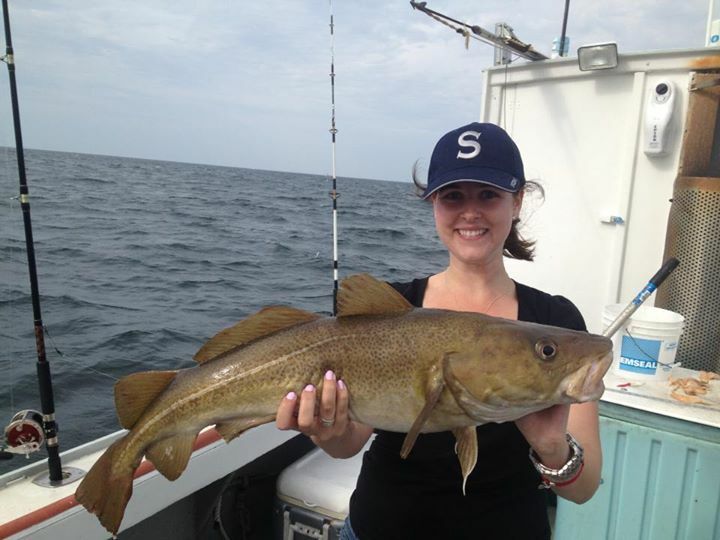 This includes cod, haddock, cusk, hake, whitting, wolfish, and many other types of groundfish. Onboard the Connemara Bay we bring a maximum of six passengers allowing you plenty of room to work the bottom without tangles. 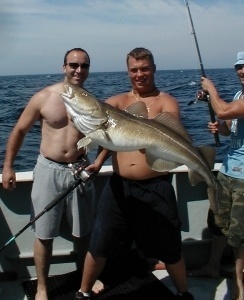 There are two predominant ways to catch ground fish while on a deep sea fishing charter. The first is buy utilizing bait. 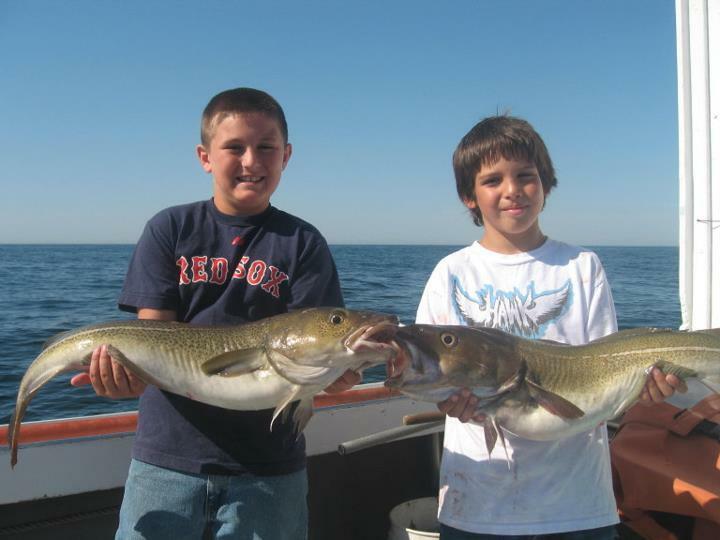 Ground-fishing bait includes clam, squid, fish strips, and sea worms. 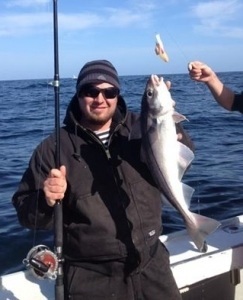 The other common way you can catch cod and haddock is by jigging. This involves utilizing artificial lures and making them move in a manner that entices fish to bite by jigging. Both styles of fishing involve you dropping your line all the way to the bottom which at times can be over 200 feet deep.